Slainte! 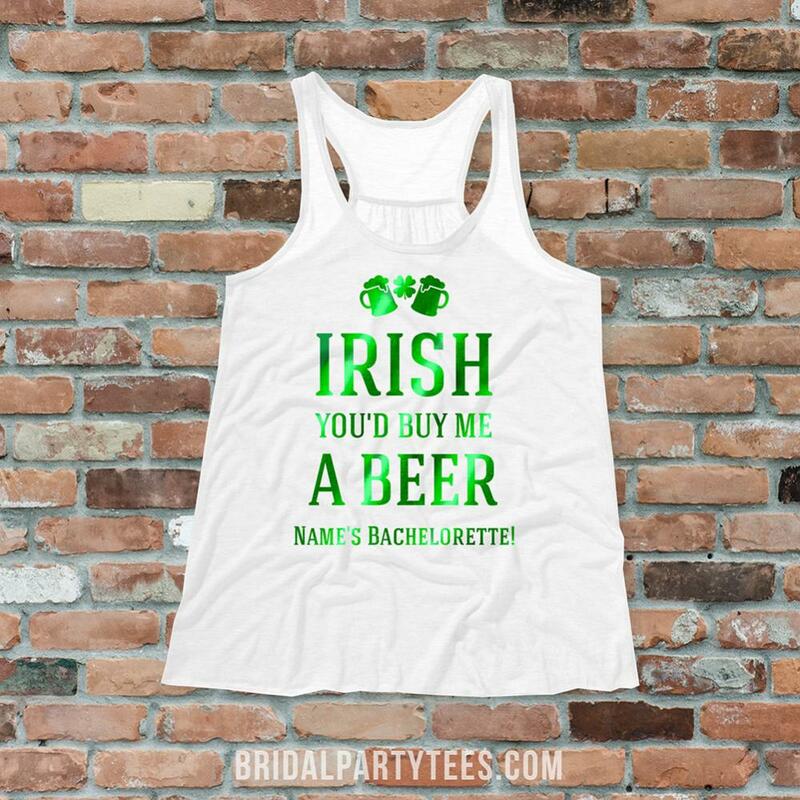 Now I wish you would buy me a beer... For all of you Irish ladies, it's time to throw one (or two) back for the bride to be! 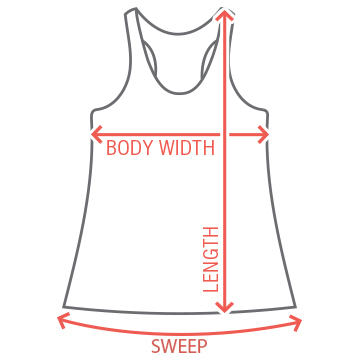 Start the wedding celebrations by customizing these trendy metallic shirts for the bachelorette party. 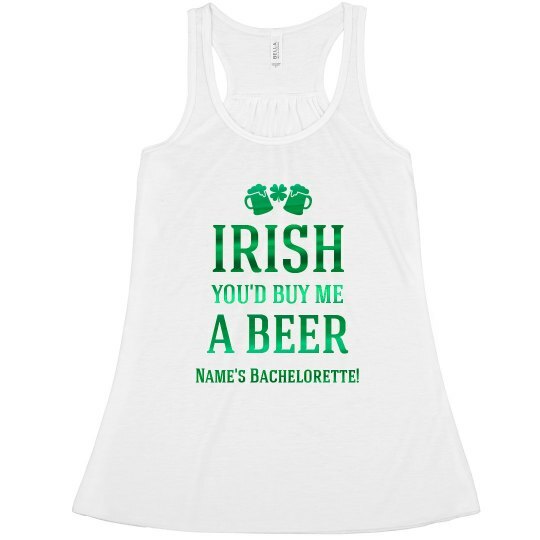 Custom Text: IRISH | YOU'D BUY ME | A BEER | Name's Bachelorette!